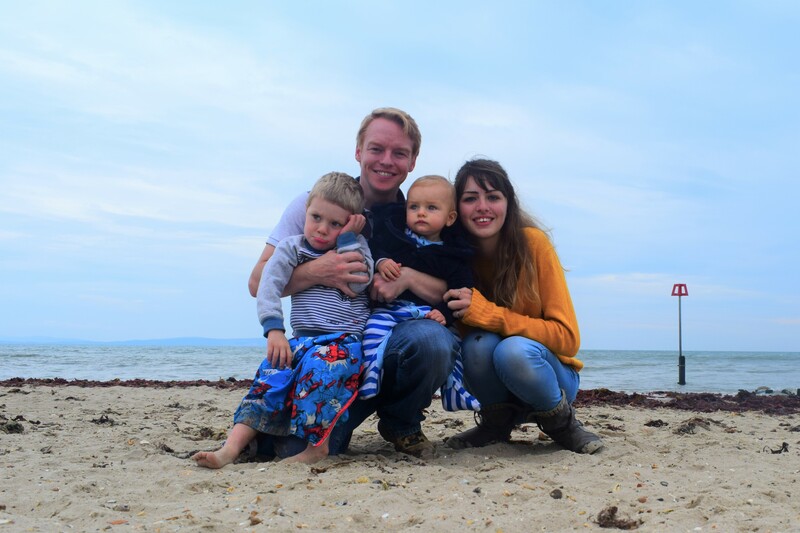 Welcome back to #BlogCrush, the linky that I host with lovely Lucy from Lucy At Home. If you are joining us for the first time, hello! #BlogCrush is all about sharing the blog love and is the only linky out there where you can link up a post from a blogger you love as well as one of your own. 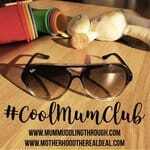 There is a lot of self promotion in the blogging world (it is a must if you want to be heard) but the blogging community is also full of lovely supportive people too. 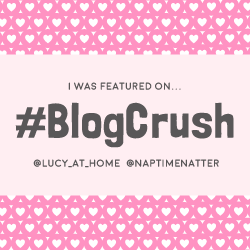 If you have read something amazing this week then Lucy and I want you to share it with us, link it up as your #BlogCrush, give it the attention it deserves and make sure you tweet the blogger so they know how much you enjoyed their work. We are all about the blog love. Last week’s linky was a little disappointing with only 28 link ups, I am not sure why we had much less people than usual linking up. Hopefully we have lots of you back with us again this week..we missed you! It has been a pretty uneventful week this week, Alex has been teething SO bad so I have kind of been trapped inside feeding him what feels like constantly as it is the only thing that is soothing him. I am looking forward to the weekend as my parents are coming to stay and it’s Mother’s Day on Sunday so I have my fingers crossed for a nice long lie in and maybe even breakfast in bed. 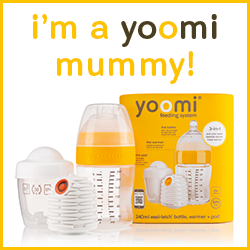 I hope you all have a lovely weekend and all you lovely Mummy bloggers have a wonderful Mother’s Day, you deserve it! My #BlogCrush this week is from Intrepid Bebe. 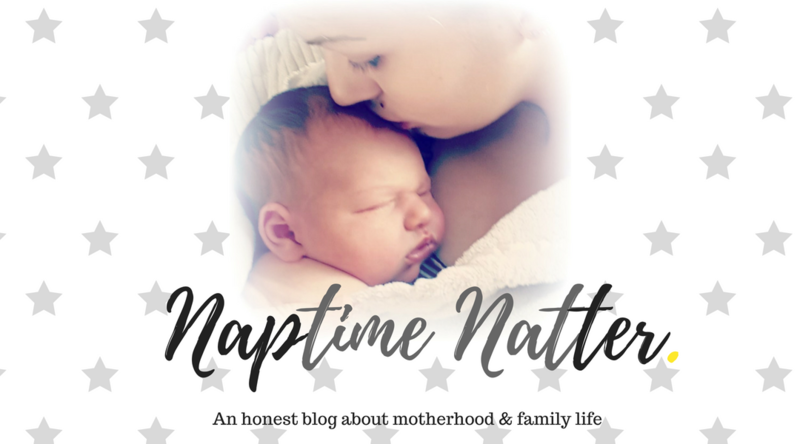 The post discuses whether a baby can ever be considered bad and as I am regularly asked if my Alex is a ‘good baby’ I found this post a really refreshing read – Bad Baby. Lucy’s #BlogCrush this week is Life, Motherhood & Everything – The celeb I’d like to spend 15 minutes with..
From this week onwards #BlogCrush will be open from 6am Friday all the way through to 9pm Sunday so for all of you who are busy on a Friday you still have plenty of time to come and join in over the weekend – hurray! 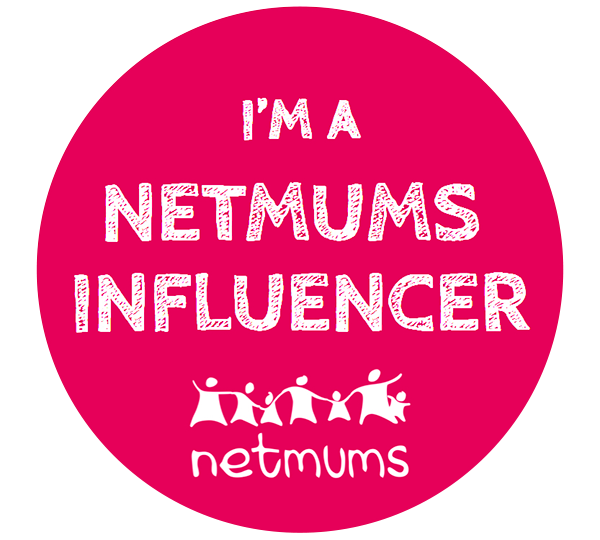 I am looking forward to reading everyone’s posts and seeing who all you bloggers are loving this week. Thanks for linking up with us and enjoy the party.